The City of Pasadena does not openly share troves of crime data like many other regions in Southern California and the available data shows that Bungalow Heaven ranks pretty low for reported residential crime, residents and locals know that that not entirely accurate. We love to believe that Bungalow Heaven is a protected little enclave far from the threats of big city living, but the truth is, crime may not live in the neighborhood, but it certainly visits. The major thoroughfares of East Orange Grove and Washington Blvd make the neighborhood a prime target for drive by mischief and a security system can be a great deterrent. Some security systems even qualify for discounts on homeowners insurance but all of them deliver peace of mind when you are away. Many Bungalow Heaven and Pasadena homeowners utilize traditional security systems like those provided by ADT and Bay Alarm and even more have embraced newer technology like the RING digital doorbell but like anything electronic, there is constant innovation, new technology, cutting edge products, various brands and pros and cons. 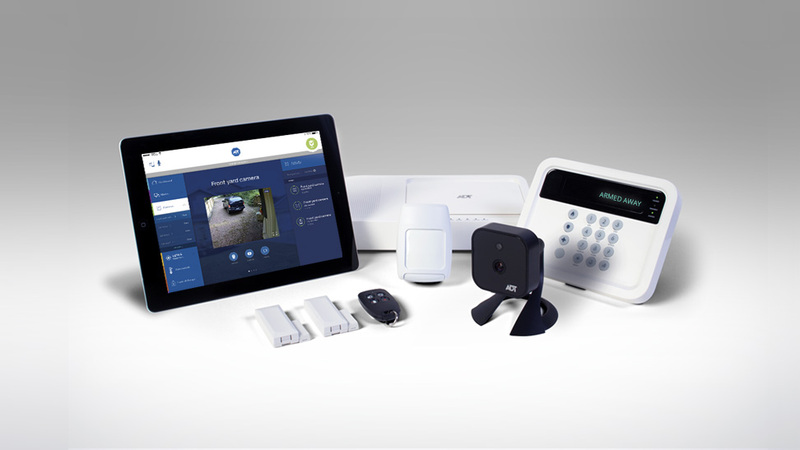 So, let’s take a deep dive into the various features of the latest home security systems, who the top brands are, what they offer and at what price. Let’s start with the features offered by most security systems. The traditional wired alarms as provided by brands like ADT and Bay Alarm, are what most think of when they think of an alarm for the house. These systems are considered “wired” because they primarily connect through the landline telephone line of a home which connects the system to the outside world. These traditional systems are the most involved, most secure and most expensive. Wireless systems are the next generation and connect purely through a cellular connection. Systems like these are gaining in popularity due to the fact that many homes are opting to not have a traditional phone line anymore and the fact that these systems are significantly less money to acquire and maintain. Note: Some wired systems offer a cellular backup in the event landlines go down or are cut. When an alarm triggers, someone needs to be alerted. In the case of a “monitored” system an automated call is sent to you first. This call comes from a dispatcher looking for verification of a problem. If you do not answer a second contact number can be contacted. In the event of no answer or if you confirm there is an issue, 911 is contacted and the authorities are dispatched. You pay a monthly fee for this service (usually $15-$60 per month) and could be penalized with fees for false alarms. An unmonitored system is monitored by you, therefore eliminating the monthly fee but putting the responsibility on you. In the event of an alarm trigger, you are sent a text, email or push notification to your mobile cellular device. From there you determine the threat and contact the authorities if needed. 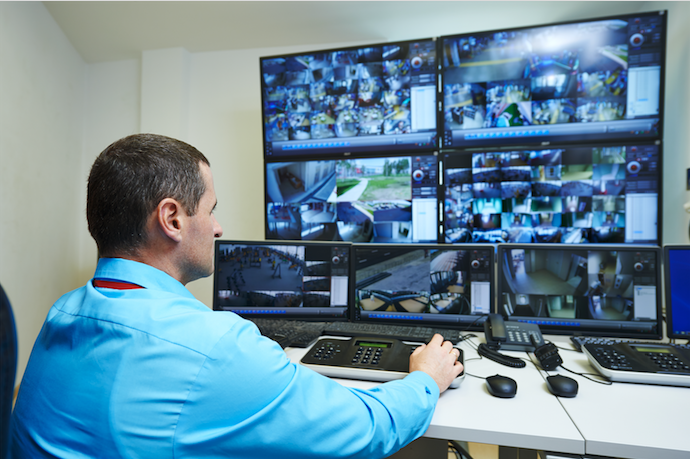 If you are glued to your mobile device like most are, unmonitored can be a great cost savings, if you are rarely near your cell phone, then a monitored system is a better bet. Monitored service generally requires a contract of commitment which can be daunting for some to think about. These vary from one year to three years and can often times include spread out payments for the equipment purchased. Note: many monitoring contracts have early termination clauses that could be expensive. Read the fine print before signing up for any service. Most alarm systems start with some sort of main unit where you control it. Different brands call it different things: a brain, an interface, a control panel or a hub. Regardless of the name, every system has one. Next in the equipment list is sensors. These are small units that perform specific tasks. Door and window sensors alert when a door or window opens, motion sensors detect movement via infrared scanning. There are additional sensors for smoke, humidity, air quality, water, carbon dioxide levels, glass breaking and more. Sensors are always matched to the control panel and are generally not interchangeable between system brands and manufacturers. Video cameras are more common now and have improved dramatically in the past years, not only in quality but in affordability. Having high resolution feeds that can alert your phone so you can watch live is so seamless now, it is a no brainer to include when considering home security. The latest innovations are with smart connectivity where the alarm can monitor a smart door lock or be activated via assistants like Alexa. Prices for equipment vary wildly. Some alarm manufacturers offer packages that include common combinations of control panels and sensors while others let you pick and choose exactly what you need and want to cover your property. Traditionally sensors were hardwired to the control panel but running wires to and from every door and window is labor intensive. Innovation is replacing the hardwired sensor setup by connecting the sensor to the hub via radio frequency, Bluetooth or WiFi. These wireless sensors are now easier to install but need battery maintenance and can sometimes be a finicky connection. Installation varies greatly from simple DIY installations to professionally installed systems comprised of wired sensors crisscrossing the entire house and then finish work to conceal everything. A professional alarm install is tedious and expensive work involving drilling and the running of long lengths of wires throughout the home and then patching any holes made during installation. While this kind of install costs more, the set-up is precise and some systems will let you pick and choose how elaborate your system and investment can be. The newer wireless systems are built with the Do It Yourself install mentality. All the sensors are wireless and can just be placed where you need them. The benefit of these systems is that you can also take them with you in the event you sell your house. If you opt for a DIY set up, you should be well aware of best practices recommended by the manufacturer to avoid constant false alarms or missed breaches. Frontpoint. A monitored DIY Installed alarm blends coverage with affordable pricing. Equipment: Base system is $1,809.66 over three-year contract. Vivint Smart Home. The latest in technology and big on whole house automation that can tie in with smart appliances and smart thermostats, electronic front door locks etc). LINK Interactive. Customizable system, that is 100% wireless. Mixed reviews on the ease of installation and penalties for contract termination. Equipment: All sensors and options are a la cart. SimpliSafe: No contract, DIY based alarm systems that include a monitoring option. It is a simple install and very often the number one choice for the media that covers technology and consumer electronics. Great for renters due to portability. ADT Pulse: A nationally known brand that has been around for 140 years. Serviced by local authorized resellers which can deliver mixed results. ADT Pulse is their new connected version that gives you remote control via your smart phone. Offers $500 theft protection. No DIY installs here. Cannot be moved from one house to another if you move. Equipment: $1,100 and up. All systems are customized. Adobe Home Security. Simple DIY system with lots of high tech upgrade options. Scout. Very basic entry level DIY security system. While one of the lowest priced, it also is the most limited with few sensor and integration options. If you want to connect to locks, cameras and smart devices like thermostats, this isn’t for you. As security systems advance in technology and simplify in design, many consumers feel covered with just using cameras as security. Rather than have individual door, window and motion sensors, one could just do a DIY install with a series of cameras that would cover any motion or sound that happens within or adjacent to the home. This is the type of system that I personally use currently and feel the coverage is sufficient. iSmart Alarm This powerful stand-alone camera security device captures video in 1080p (high resolution) is packed with features including nightvision recording, mechanical pan and tilt, motion activated recording, cloud and local data storage and more. 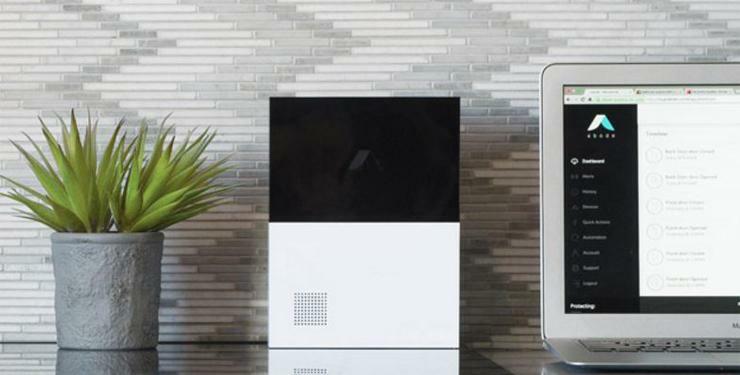 Coming in at $170.00 retail, iSmart isn’t cheap, but as a single device system it can easily serve as your primary coverage if pointed at the front door or main artery of a home interior. The device features two way audio so you can tell Fido to get off the couch from far away but the coolest feature is the video motion tracking that will lock on to moving objects (I.e. an intruder) and follow them when within view. Piper NV. The latest version of the Piper has grown to offer many needed features like night vision and high resolution but now includes a AA battery backup and an 105 db siren. Features include the ability to pan and tilt as well as a 10x zoom. Coming in at a whopping $269.00 price tag may seem high but the features and fact that is can expand to integrate with door switches and window sensors makes it more of a central hub than a single use device. Canary. Captures 1080p video (high resolution) on a DIY install system. Can integrate with Alexa and Google Assistant as well as expand with sensors for air quality, humidity and temperature. Price starts at $169. Membership plans are optional but required if you want to view video footage going back beyond 24 hours. NEST Cam IQ. Many Bungalow Heaven homeowners have embraced digital technology in the form of a NEST thermostat but less known is the fact that NEST makes a security camera as well. The Cam IQ from NEST is the first security camera to offer face recognition and therefore can send familiar face alerts saving you the shock when the dog walker or the kids trigger an alarm. At a $299 price tag it is one of the more expensive options but it is jam packed with features and can integrate with other devices like your thermostat. While most features like two way audio and the ability to automatically zoom in on peoples faces are automatic, some other features, like intelligent audio that can decipher a dog bark vs glass breaking require a subscription that runs $10 per month. This one has an outdoor version as well, which can be very handy. I hope this helps cover the vast array of options out there when it comes to home security. This sector of consumer electronics is always expanding and this is by no means all of them. These are just the ones that my research showed to deliver the best results. There are many more brands out there. While break-ins are infrequent, the peace of mind of a security system is well worth the investment. Take some time to think about what you need and what you feel comfortable spending and click the links on the systems that interest you the most. The next time you go on vacation, you will be glad you did. Michael Robleto is a REALTOR® with Pasadena based Compass. His analytical and open approach to sales has served his clients well in his twenty years of sales. Michael brings a modern data and technology-driven approach to real estate while focusing on the historic architecture of Bungalow Heaven. Michael takes a client first approach to real estate and enjoys sharing interesting topics of conversation for homeowners and home buyers. He can be found on Facebook, YouTube, Twitter and Instagram under the common profile name of his blog BungalowAgent or at www.BunaglowAgent.com/blog. For Sellers or Buyers Agent representation he can be contacted directly.